Asmoz ta jakitez, el de abajp puede alcanzar al de arriba, y el pequeño puede vencer al grande, a través de la persistencia y el conocimiento." A lo largo de su vida, Florencio Aulestia demostrado la verdad de esta palabra . Su firme creencia en la integridad, la estricta obediencia a la ley y la Constitución, el trabajo duro, el entusiasmo, la perseverancia, y la oposición al autoritarismo, tanto política y religiosa era una parte esencial del legado que heredó de sus mayores y más tarde pasó a sus descendientes . The phrase carved on the front wall of the ancient house of the Aulestia family located in the town of Aulesti in the Basque Country surmises well the character of the first Aulestia pioneers as well as the character of Florencio Aulestia. "Bekoak goikoa ezkondu leidi; ta txikiak handia benzi leidi, asmoz ta jakitez; the one below can reach the one above and the small can defeat the big, through persistence and knowledge.” Throughout his life, Florencio Aulestia demonstrated the truth of that saying. His strong belief on integrity, strict obedience to the law and the constitution, hard work, enthusiasm, perseverance, and opposition to authoritarianism both political and religious was an essential part of the legacy he inherited from his elders and later passed down to his descendants. una aventura de treinta y seis años antes de regresar a su casa. después de la victoria de Sarasti sobre el coronel Luis Fernando Ortega. Information on his early years is scarce, other than he was an active young man with a strong and assertive personality gained from family tradition and the fact that when his father died, he became the man of House at the early age of fifteen. It is not until July 19, 1880 that his mother remarried. Shortly after he left home to embark in a thirty-six year adventure before he returned home. Florencio Aulestia’s military career started right after the takeover of the government of Ecuador by General Ignacio de Veintimilla, who declared himself “Supreme Ruler” on March 25, 1882. This created a deep division within the Armed forces, and the consequent formation of the Army of the restoration. 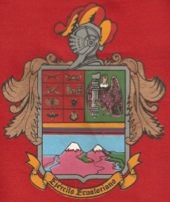 It consisted of the Army of the Andean North, Center and South, and the forces in the coast. When the call came for citizen soldiers, Florencio Aulestia, a strong believer of a constitutional government, quickly joined General Jose Maria Sarasti’s Army of the Center at Pillaro County, Cotopaxi Province just after Sarasti’s victory over Colonel Luis Fernando Ortega.